Linen Care is not as hard as lots of people think. Simply put: Linen is machine washable, air dry or low tumble dry. Iron for pristine look. Linen has been around for at least 8,000 years before the Christian era, if not more, which makes the world’s oldest natural fiber. Lots of vintage linen beddings and household items are still seen in the auction house or flea market. Our linen is gorgeous, comfortable and durable fabric that is made from fibers of flax plant grown in France. Linen often becomes a family heirloom as it wears extremely well and it’s able to main its quality throughout its long life. 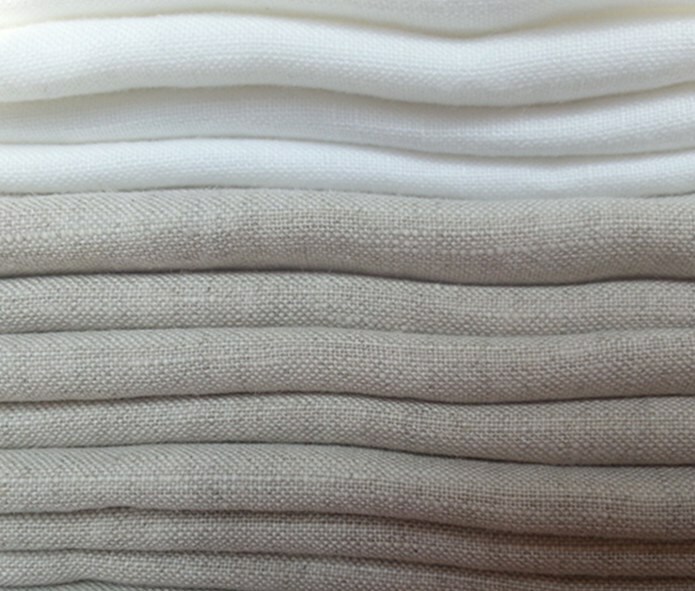 Given a reasonable amount of care, pure linen will last generations to generations. Linen Laundering: . When it comes to washing, linen is almost always better off with a hand or machine wash than a dry cleaning. The more linen is washed the softer and more luminous it becomes. Use mild detergent or pure soap, preferably in soft water. Select a water temperature luke warm or cold, not exceeding 40”/104F. Do not overload the matching, wash in mild wash cycle. Rinse the fabric thoroughly to more all soapy residues. Remove linen when still slightly damp, avoid over drying which makes linen stiff and crackly. Linen Drying: The best way to dry linen is following the natural method ancient Egyptians uses by spreading the linen out in the open air, under the sun to acquire the crisp linen smell. You may machine dry linen in mild cycle. Once rinsing and spinning cycles on a washing machine are complete, bring it off while it is still damp, because linen tends to acquire a brittle quality if it dries too thoroughly, which is hard to reverse. Blood: Rinse immediately in cold water. If stains become dry, soak in warm water with enzymes launder. Fruit, coffee, tea and chocolate: Rub with alcohol, white vinegar and ammonia, wash in warm water. Candle wax: Scratch off dried wax with dull side of knife, absorb residue with blotting paper, changing paper until was is absorbed. .
Greasy Stains: Rub with ammonia. Red Wine: Rub immediately with sparkling water or white wine or club soda. Lipstick: rub with cooking oil to dissolve the lipstick, then launder to remove oil. Mildew: Use oxygen-type bleaches and wash in warm water. If stains do not disappear, you can dissolving baking soda in boiling water, then add enough code later to reach warm temperature, soak the linen for 1 hour. Linen Ironing: the beauty of linen is its natural wrinkly, relaxed, live in look. If you prefer ironing, it would be good idea to iron while the fabric is still damp or iron with steam at medium temperature. 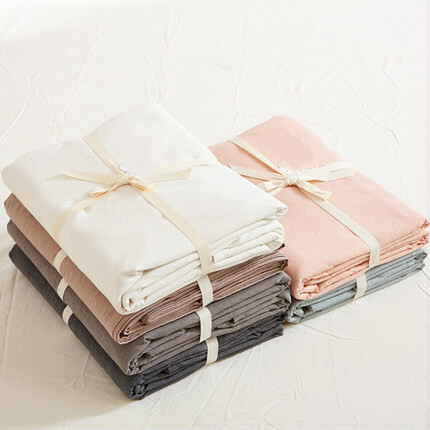 Linen Storing: Clean the linen thoroughly before storing it as dirty linen will attract mildew. Cover linen items in pure linen, cotton or canvas bag and store linen in a cool, dry and well ventilated area. Do not use synthetics bag, plastic bag , cardboard box or cedar chests as the fumes from petroleum based product can rot and streak the fabric. At Superior Custom Linens, we hand selected the garment dyed and prewashed linen fabric. The fabric have relaxed to heirloom softness, making the it feel as you have been sleeping on it for years. Our linen items are handmade, one piece at a time. Each piece is given equal attention with superior craftsmanship. We hope to enrich your experience in decorating your bedroom in romantic country style or modern lifestyle while also make it a family heirloom to pass down the generations to come.